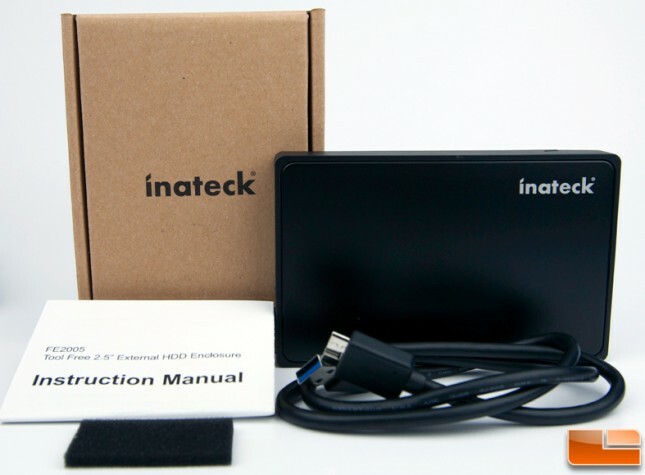 Back in December 2014, we had a look at Inateck’s FE2006 USB 3.0 drive enclosure and later tested the FD1006C SUB 3.0 enclosure. We found that each performed very well and priced very inexpensively for those looking to pop a 2.5″ drive in and get some speedy external storage. Today we’re looking at the FE2005 model which is very similar to the FE2006 with a few small differences that we’ll get into more detail about later. Like the other drives mentioned, it leverages the relatively new USB Attached SCSI Protocol (UASP) which really allows the interface to reach its full potential. As such, this is nicely suited for SSD drives rather than hard drives which would not be able to generate enough performance to saturate the interface and thus be a bottleneck in performance. 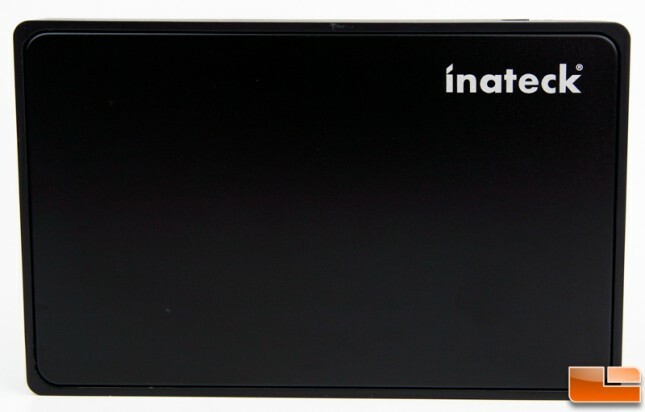 For the testing, we’ll be using an OCZ Vector 180 2.5″ SSD to ensure we have plenty of horsepower to test the throughput of the enclosure. For just $16.99 it can be found from various e-tailers which makes it a very economical way to put a spare drive to good use. For those with an Xbox One or other gaming system that supports external drives, this is a super easy way to add a speedy SSD to the system to improve game load times. 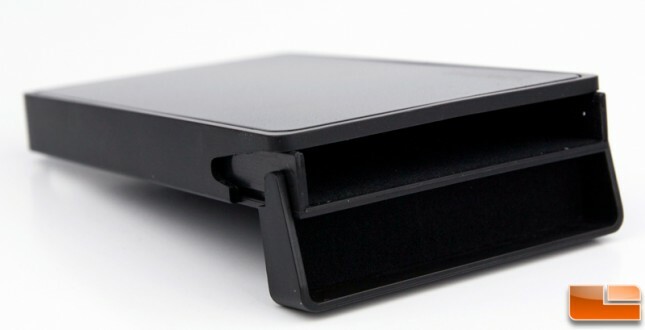 The 130mm(L) x 82mm(W) x 14mm(H) enclosure is made of hard plastic that feels rather durable and not cheaply made. No tools are needed to get this working, just slap in a drive, plug it in and away you go. The USB 3.0 cable supplies the power along with being the data conduit so no extra power is needed. On the FE2006 model, there’s a 5V input for extra power should it be needed (we never saw a need) and you can see that it isn’t present here on the FE2005. The only external features are the USB port, the operation LED and a sliding lock mechanism to ensure the drive remains secure in the enclosure and not slide out inadvertently. The LED has two color modes. It indicates USB 2.0 operation by glowing white and USB 3.0 will glow blue. Both pulse to indicate activity. One other difference between this and the FE2006 model is that the end piece slides out slightly and swivels down so you can insert the drive and swivel it back to cap it in. The FE2006 was designed for most of the top of the enclosure to slide off. Neither mechanism really has an advantage over the other but personally I like this design better as the cap is always attached to the enclosure whereas the FE2006 piece comes off completely and is a little more finicky to fit back into the grooves to reattach. The drive comes in a relatively plain cardboard box along with an instruction manual, USB 3.0 cable, and a foam spacer to minimize any play in the drive once enclosed if you are using a 7mm z-height drive. It’s not really needed for a thicker 9.5mm drive. Taking a look inside the enclosure, we find the brains of the operation being a JMicron JMS567 Super Speed USB 3.0 & SATA III 6.0Gbps Bridge Controller for conversion from SATA III to USB 3.0. As mentioned, it supports UASP which is key critical to performance as it leverages queuing to boost performance. The other notable features on the PCB is a 3.3V converter on the left and a 25 MHz crystal clearly marked on the right. 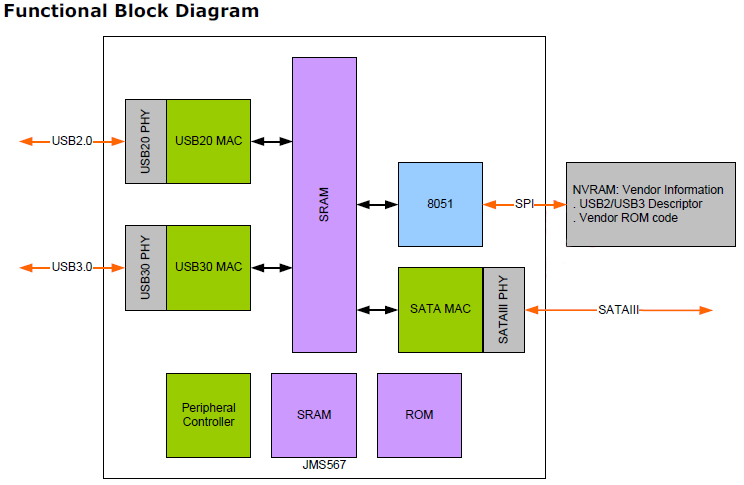 The diagram above shows the simple design for a SATA III to USB 2.0/3.0 controller. Dual PHYs handle connectivity USB 2.0 and USB 3.0 separately and are buffered by some SRAM which also separates it from the SATA III PHY.